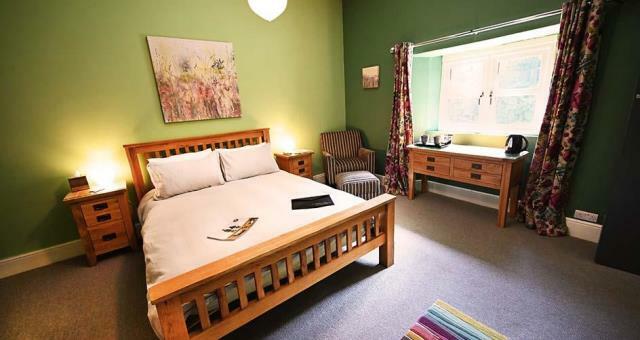 The Old Vicarage, Corris01654 761419work Guest AccommodationOffering first class accommodation and hospitality The Old Vicarage is a wonderful place to retreat and unwind or a perfect base from where to explore the mountains, lakes and beaches. The area is littered with stunning scenery and panoramic views with a "photo opportunity" at every turn. There are many picturesque villages and coastal towns with a variety of individual shops and cafes making it an ideal destination to visit whatever the season. The grid shows the prices and daily availability from Thu 18 Apr 19 to Thu 25 Apr 19. It's easy to check availability for particular dates; just use the calendar to choose the check in date, select the number of nights and click the 'Search' button. Click the Book Now or Book Direct button to book the highlighted days. With Book Now the room booking will be confirmed immediately, with Book Direct the room reservation will be confirmed within 24 hours..
Offering first class accommodation and hospitality The Old Vicarage is a wonderful place to retreat and unwind or a perfect base from where to explore the mountains, lakes and beaches. So, whether it is a bracing climb to the peak of the imposing Cader Idris or slowly meandering around the many attractions and villages in Snowdonia National Park, The Old Vicarage is the perfect please to stay. From Machynlleth - Follow A427 towards Dolgellau The Old Vicarage is approxiamately 3 miles on the left from Machynlleth. From Dolgellau - Join the A427 towards Machynlleth. Go through Corris Uchaf and the Corris Craft Centre on the right. The Old Vicarage is situated on the right hand side approximately 1 mile on the right past the Corris Craft Centre.